All scrambles are not made equal. Hello, we’ve been eggspecting you. 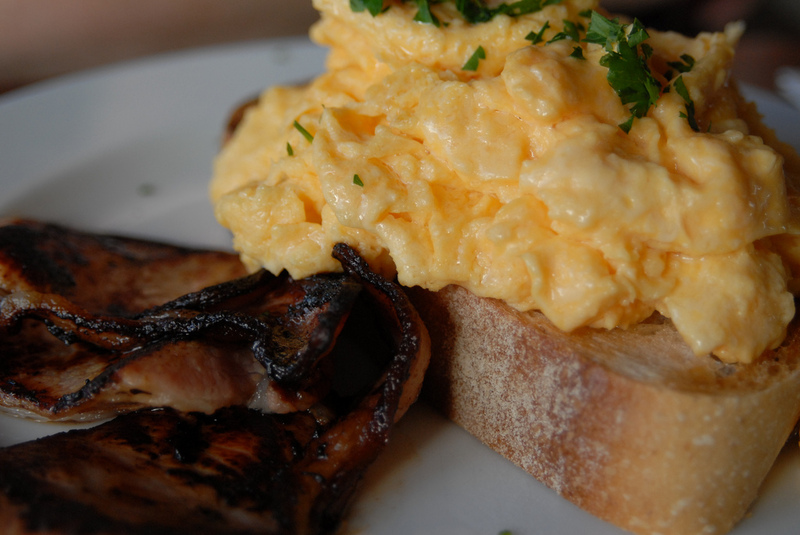 You’re reading this article right now because a) you love eggs or b) you’re wondering why the photo looks nothing like the dry yellow fluff that Cafe 84 serves in the mornings (are those even qualified to be called eggs?). In this easy 5 minute recipe, you’ll fall in love with this treasured breakfast staple. 1. 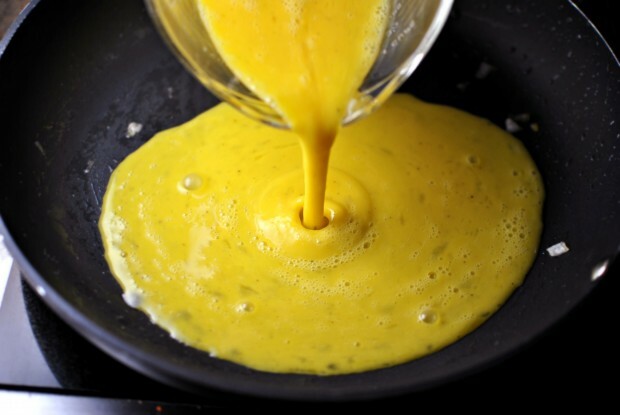 Beat eggs, milk and salt into a consistently smooth mixture, and pour into pan. 2. 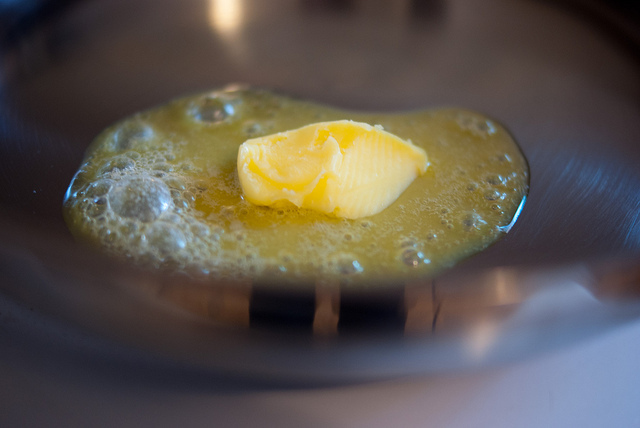 Heat up butter in pan on low heat setting. Be careful not to let the butter brown. 3. 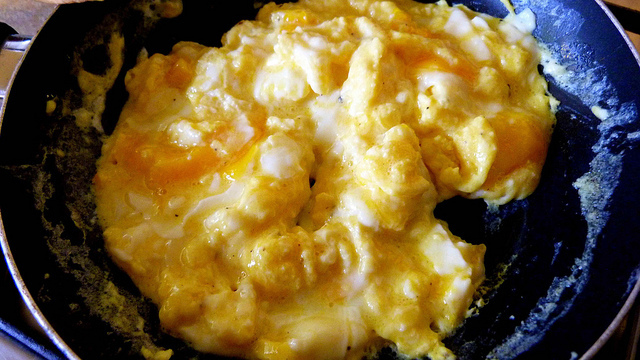 Pour egg mixture into pan and let sit for 20 seconds. 4. 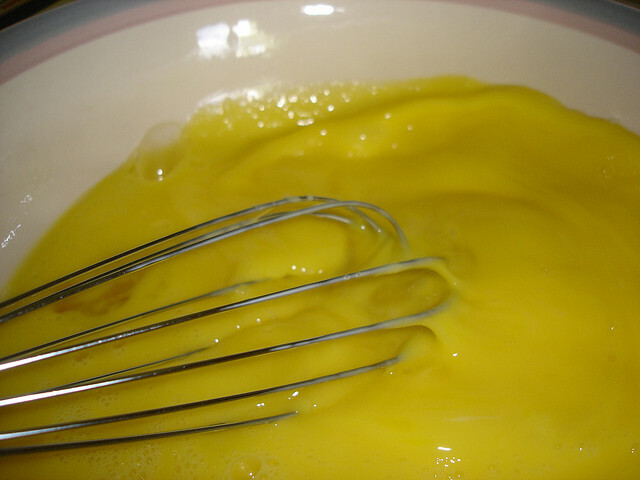 Fold mixture in large clumps, allowing it to solidify in soft masses. 5. Repeat until desired consistency is attained. 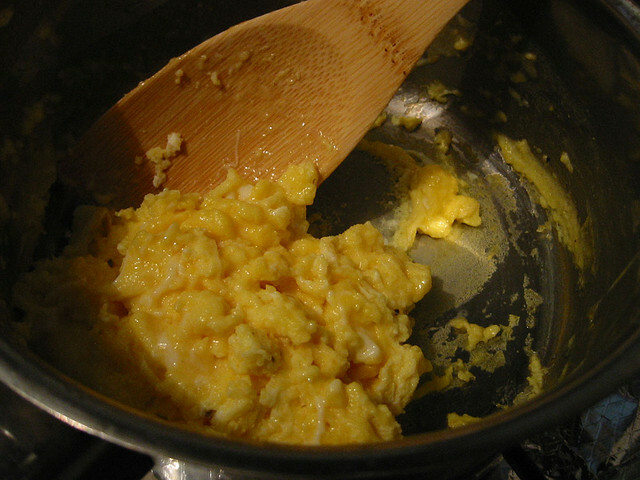 Your scramble will tend to taste more savory when it is runny in some places. Not sure which oil to fry those babies in? Coconut oil is recommended because it gives the eggs an irresistible aroma when cooked, but other oil will do the job still though! In just 5 minutes, you have prepared one of nature’s healthiest foods. Eggs are super helpful for losing weight, revving up your metabolism for a busy day and keeping you fuller longer to fight off mindless snacking. Enjoy with ketchup, pepper, or whatever your heart desires.